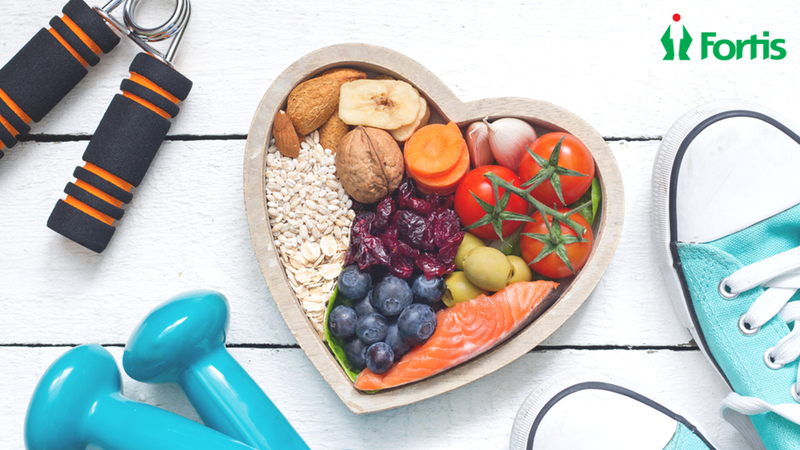 When it comes to maintaining optimal heart health, nothing could be more effective than a healthy diet and getting moderate amounts of exercise on a regular basis. As cliché as these may sound- a low-fat diet and some easy lifestyle modifications are proved to be paramount for retaining a healthy, strong heart. Fortis International is among the best heart surgery hospitals in India. Our institute offers the top open heart surgeries in Bangalore and comprehensive cardiology care at affordable rates. Regardless of the gender, our risk of heart diseases keeps increasing as we age. Cardiovascular diseases are among some of the most common age-related health complications and the leading cause of death worldwide. Equipped with state-of-the-art medical infrastructure, our hospital provides some of the best heart transplant surgeries in India. As we age, there are multiple factors that heighten the risk of developing a heart disease. Many of these risk factors could be kept at bay by monitoring our eating habits and other lifestyle choices. Here are five simple ways, recommended by our doctors, that will help and keep your heart all hail and hearty! Say no to Cigarettes: Nicotine raises your blood pressure and puts you at a higher risk for heart attacks and strokes. Those who are exposed to secondhand smoke are at a 30% higher risk of developing a cardiac condition, as nicotine speeds plaque buildup in the coronary arteries. Secondhand smoke is considered to be even more harmful. Quit the habit of smoking and avoid environmental smoke to keep your heart fit and healthy. Maintain Healthy Blood Sugar Levels: Diabetes is shown to double a person’s risk of developing cardiac complications. This particular phenomenon is known as diabetic heart disease. High blood sugar levels in diabetes, over time, damages the blood vessels and nerves that supply oxygen and other nutrients to the heart and coronary arteries. It is extremely important to get a diabetes diagnosis in time and keep blood sugar levels in check. Get Enough Sleep: Good quality sleep is regarded as crucial for retaining a healthy cardiovascular system. Not getting an adequate amount of shut-eye or poor quality sleep increases a substance called C-reactive protein in the bloodstream. CRP is directly linked to arterial inflammation and stress. People lacking sleep are proved to be at a much higher risk of heart diseases. Make sleep a top priority and ensure you get at least 7 hours of sleep every night. Manage your Stress: Uncontrolled stress has a wrecking effect on the whole body. It increases your blood pressure which leads to arterial damage and results in irregular, abnormal heart rhythms. Prolonged stress also contributes to a weakened immunity. It’s high time you took the ‘de-stressing’ concept seriously! Figure out a stress management activity that works best for you to help your heart stay healthier for longer. Add some Healthy Fats to your Diet: Cutting back on trans-fat consumption and including healthy fats like avocado, coconut cream and fish oil are effective in improving the health of our circulatory system. Avoid junk food, unrefined carbs and foods high in sodium- these are directly responsible for arterial blockage and heart diseases. Healthy fats, on the other hand, helps lubricate the arteries and keep them nourished and protected.